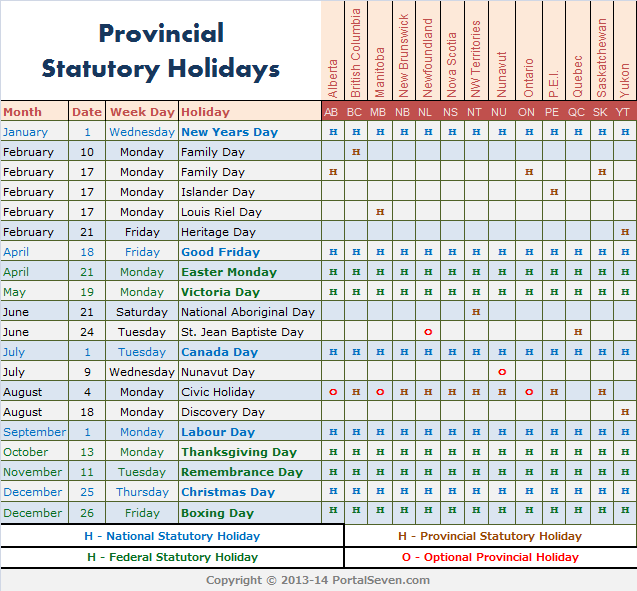 Check 2014 Statutory and Provincial holidays in Canada. Also find out the 2014 dates for May Long Weekend and August Civic Holidays (August Long Weekend). In 2014, Victoria Day comes on May 19. So the May Long Weekend falls on 17,18 and 19 May. In 2014, August Civic Holiday comes on August 4th. So the August Long Weekend comes on 2, 3 and 4 August.